The Deputy Prime Minister and Minister of Foreign Affairs of the Republic of Serbia Ivica Dacic met the Ambassador of the Hellenic Republic in Serbia, Elias Eliadis. The Minister expressed his deep condolences for the floods that afflicted Greece and for the tragic loss of so many human lives. 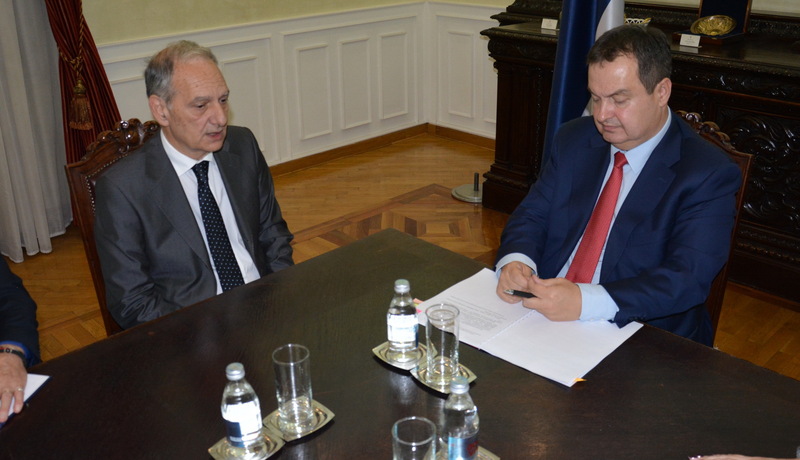 He also expressed the readiness of the Serbian Government to offer any help to Greece. During the meeting, both sides expressed their satisfaction regarding the outstanding level of bilateral relations and the constant meetings of the officials. Furthermore, the interlocutors marked that the next High Council meeting will be held in Belgrade during the next year.